The Supreme Council of Justice should separately consider each candidate before approving it. The United States state concern about the integrity of at least some winners of the contest in the new Supreme Court. "A number of strong Supreme Court nominations, but integrity concerns of many nominees remain," the US Embassy in Ukraine said on Monday in its Twitter microblog. The embassy said High Council of Justice obliged to independently review each candidate before the approval and transfer for signature to the president. The competition for the Supreme Court started on November 7, 2016. 1,436 participants have stated the desire to run for top judge posts, of whom 846 people actually applied for participation, and 653 were admitted to the competition, including 625 – for the qualification assessment. The HQCJ has interviewed 381 candidates. 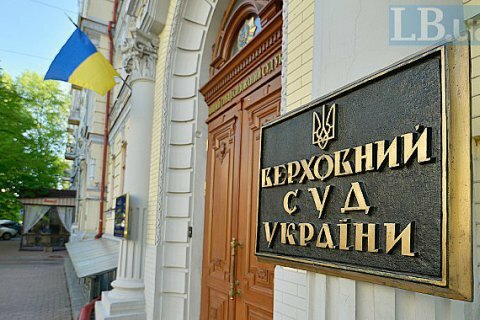 Based on the results of the competitive selection, the Commission will send to the Supreme Council of Justice the recommendation on the appointment of 120 candidates as cassation judges in the Supreme Court, 30 judges in each of administrative, economic, criminal and civil courts. Candidates will be considered by the GSP, and then their list will be handed over for approval to President Poroshenko. Commenting on the results of the contest, the president said it was only the beginning of the renewal of the judicial system and urged the deputies to take all necessary changes in the procedural codes.